Having moved my content to the cloud, my audio files are once again not playing. Sugarsync used to allow direct access to files, meaning I could stream my MP3s via the Google reader player. They've now added an intermediary page which means this no longer works. Looks like I'll have to pony-up for a dedicated server after all. In the meantime, here is a workaround: on Safari, go to a blog post, click play on the player, open up the 'Activity' page (under the 'Window' menu) and look for the Sugarsync URL. Double-click this and it should take you to the download. On Firefox, right-click to 'View Page Source', then search for the Sugarsync link. I bought this module when it first came out, then sold it two years ago because I'd run out of space. I've been working on a track that needs a big fuzzy, 'super-saw' bass but wasn't getting the right sound with multiple VCOs and wondered if the A-137-2 might fit the bill. 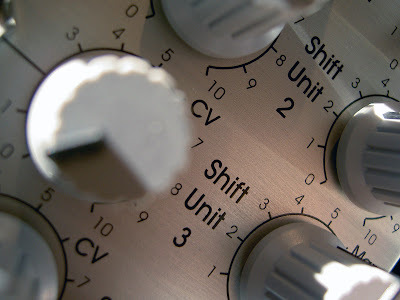 As you can hear from today's PotD, that's not what I ended up using it for: the A-137-2 will do phasing saw sounds, bar the subtle detuning, but I found it's also great for EML-sytle abrasive tones that can then be tamed with a filter. The patch involves CV-ing the WM II at audio rate, LP filtering the result with the Cwejman MMF-1 and then accentuating various frequencies with a low-bandwidth setting RES-4. 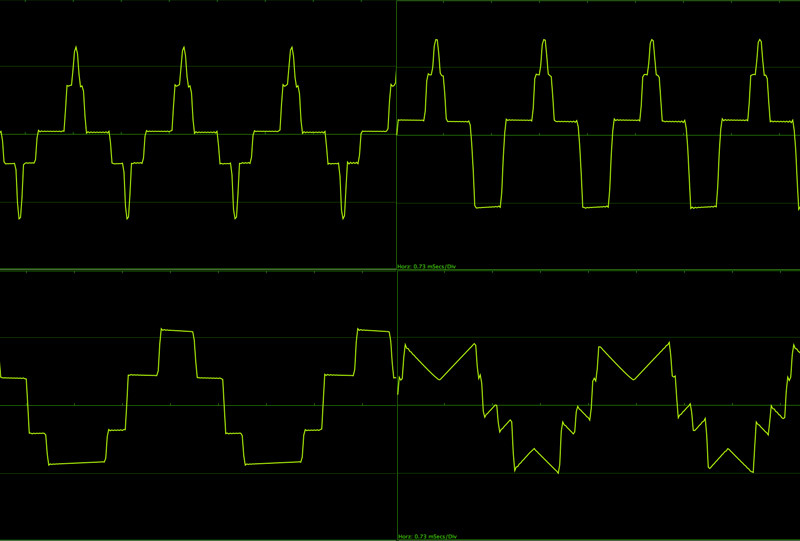 Gordon Reid goes into much detail about how to achieve this in his synth secrets, but I just used my ears. 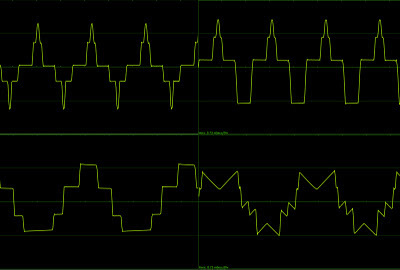 A Wiard/ Make Noise Wogglebug generated the timing and note information. It was kicked about by one channel of Maths, which received a mult of the stepped output, thus varying the pace and intensity of the ratchets and completing a timing feedback loop. I recorded two passes of the result, varying the patch by hand.